At Life In Color, we understand the joys and challenges of adoption. We have been privileged to live that journey ourselves. We also understand that each adoption journey is unique…an experience all its own. We exist to serve the adoption community by providing high-quality methods of capturing and celebrating its beauty and uniqueness. 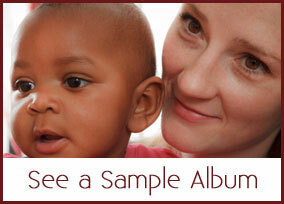 Our mission is to provide avenues for families to create, capture, and preserve their stories. It is our honor to provide products to help you celebrate your story. 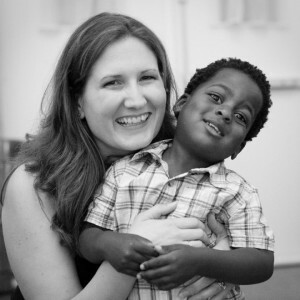 …is an experienced design consultant, adoptive parent, and a passionate and balanced advocate for adoption. She is a strong proponent of preserving the unique story of each adopted child. She writes from Holland, MI, where she lives with her husband and son. She is available for speaking and writing engagements. Finally, a comprehensive and colorful adoption life book product! It's a memory book designed to record and preserve the unique and precious stories of adopted children and their families. This Life Book is not only functional and creative, but it provides amazing setting to create a unique lifebook for your child. The creator's passion for adoption and the need to share a child's individual story is apparent in this product. I highly recommend this product to all adoptive families. I got the binder along with the pages. The binder is really well made and easy to get the page protectors in and out of. The pages themselves are cute and colorful and also thick and sturdy. The detailed pages are going to be so helpful to make sure you don't miss any important milestones or memories. You gals have thought of everything!! Can't wait to start filling up the pages. I was excited to hear that an adoption-friendly lifebook was coming out as there was definitely a need for it in the adoption community. And when I had the opportunity to look over the finished product, I was impressed. This lifebook is filled with creative images and fun pages to help adoptive families tell their child's story in a unique and interesting way. It also gives opportunity to appropriately honor their child's birth family members. I encourage you to look over this product. I believe you too will find yourself wondering, "Why didn't someone come up with this before?" Our son is 3 and even though it was a domestic adoption he is of half Chinese descent. Most of the life books I saw on the market just didn't suit our family; they seemed geared toward international adoptions, and I didn't like the idea of having a bunch of empty pages sitting there! This is the best product I've seen for any kind of adoption life/baby book, and totally worth the money. You can customize it to your own unique situation and it's not gender specific - in a good way! Absolutely love this and highly recommend the life book for anyone adopting a child! Everything about this product is top notch from the size, quality, graphics to the content! What a detailed resource to assist adoptive parents in their life long journey of explaining and living out our children's unique stories. Love every page, you thought of everything!